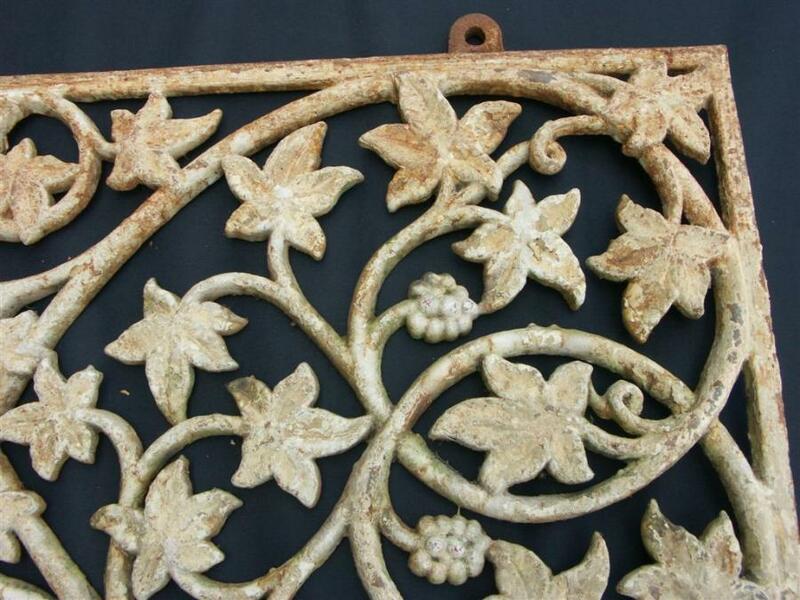 A set of victorian cast iron grilles with Star/Shield of David and ivy decoration.Good castings with original paint.Ivy has religeous meaning including immortality, friendship, faithfulness and signifies the need for protection because it is an evergreen that clings whilst climbing. 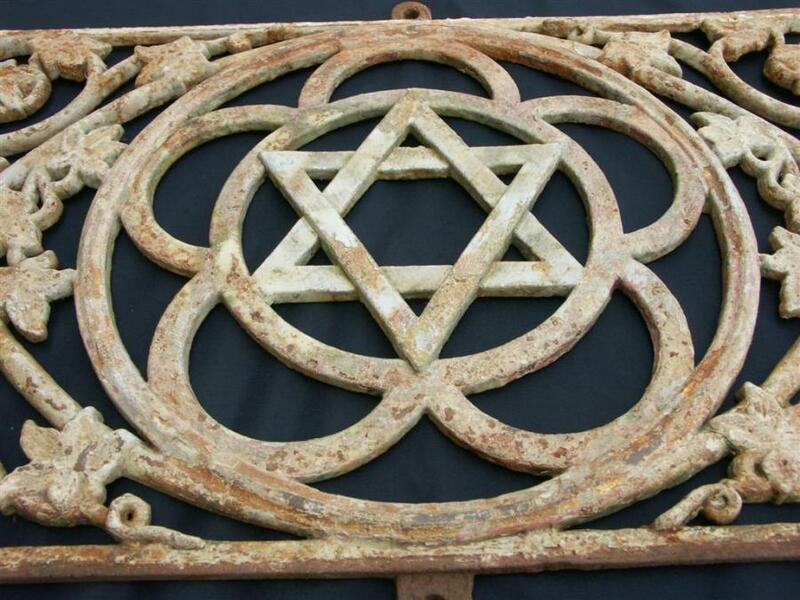 Not sure of origins,possibly a synagogue.English.19th century. 48" by 16.5" (14.5 without fixing lugs) More pictures on request. I have a set of nine.Can be sold individually.Could be posted worldwide.